The Honey Trap at the Hennessy Lounge is a must-try if you're doing the rounds of cocktail bars in Adelaide, or are just looking for a new drink to call your fave. On the cold and gloomy Sunday that just passed, The Adelaidian were invited to try a buzzing cocktail unlike any other circulating Adelaide’s vibrant bar scene, The Honey Trap. 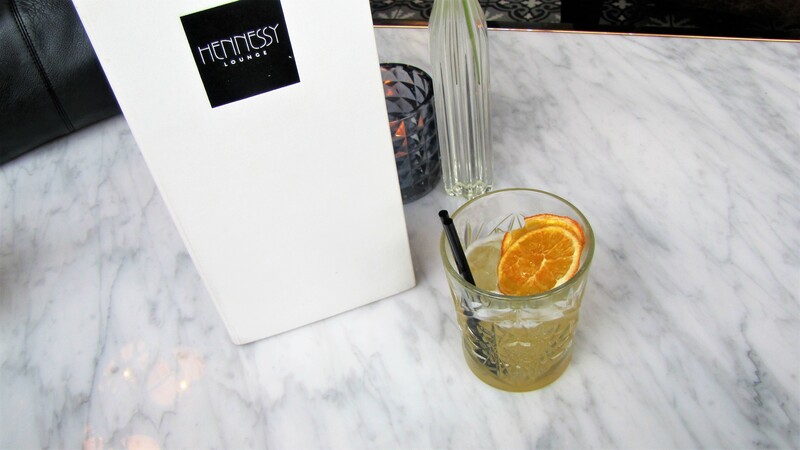 Hennessy, located at the luxe Mayfair Hotel on the corner of King William Street and Hindley Street is where you can find this exciting beverage that is perfect for the cooler, or even warmer seasons. If you haven’t visited Hennessy before, it’s a rooftop bar on the 13th floor of Mayfair Hotel that overlooks the busy city centre, boasting a gothic and vintage exterior that’s contrasted by a contemporary, yet classic interior. It’s fitted with quality furnishings and decor that add an authentic chic edge, with hanging chandeliers, gold accents, and sleek seating options. Sipping tasty cocktails in this warm and charming space really couldn’t get any better. Getting our hands on The Honey Trap at the Hennessy. The Honey Trap is a delicious and explosive caprioska style cocktail infused with ginger shrub and natural honey from Mayfair Hotel’s very own beehives. To our amazement, honey seems to be a popular ingredient at the hotel, and is actually used in a variety of recipes and dishes at the Hotels’ Mayflower Restaurant. Not only does this add an intriguing and unrivaled quality to their cocktails and desserts that are inspired by bees and honey, but it creates a whimsical flair that ties everything together quite well. This is particularly true as it interestingly, and perhaps coincidentally, faces the famous ‘Beehive Corner’ on King William Street and Rundle Mall. Likewise, it references the theme of the ‘golden era’, which was all about the simple, yet grander things in life. The Honey Trap combines Belvedere Vodka with ginger and honey shrub, drizzled with natural honey. 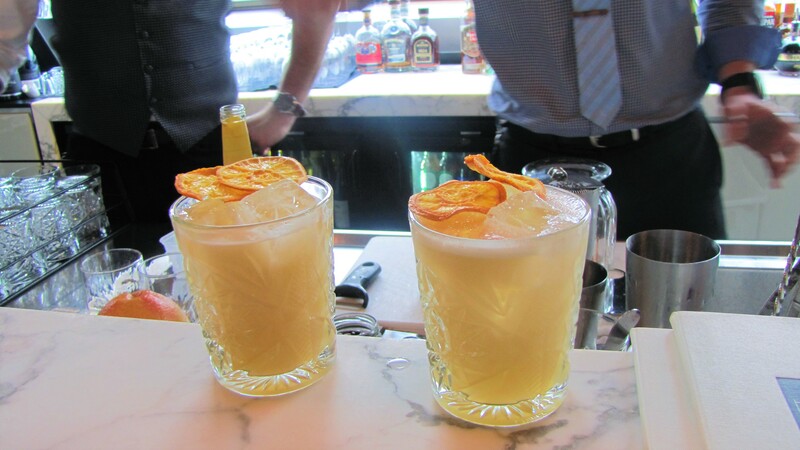 The Honey Trap combines Belvedere Vodka with ginger and honey shrub, which is then drizzled with natural honey. The cocktail ignited my taste buds from the very first sip, with its rich amber colour initially luring me in. A honey, lemon and ginger fusion evoked the spicy undertone, accentuating a sour, tangy, yet extremely satisfying flavour. And, fortunately for those thinking of doing dry July, this delicious concoction can also be ordered as a non-alcoholic mocktail. The Honey Trap at the Hennessy is honestly a must-try if you’re doing the rounds of cocktail bars in Adelaide, or are just looking for a new drink to call your fave. What’s more, the bar will be celebrating the launch of their new outdoor terrace on Friday July 21, which will include live music from 4-7 pm, a DJ from 7 pm til late, a glass of sparkling on arrival (prior to 7 pm), and menu tastings from 6-7 pm. 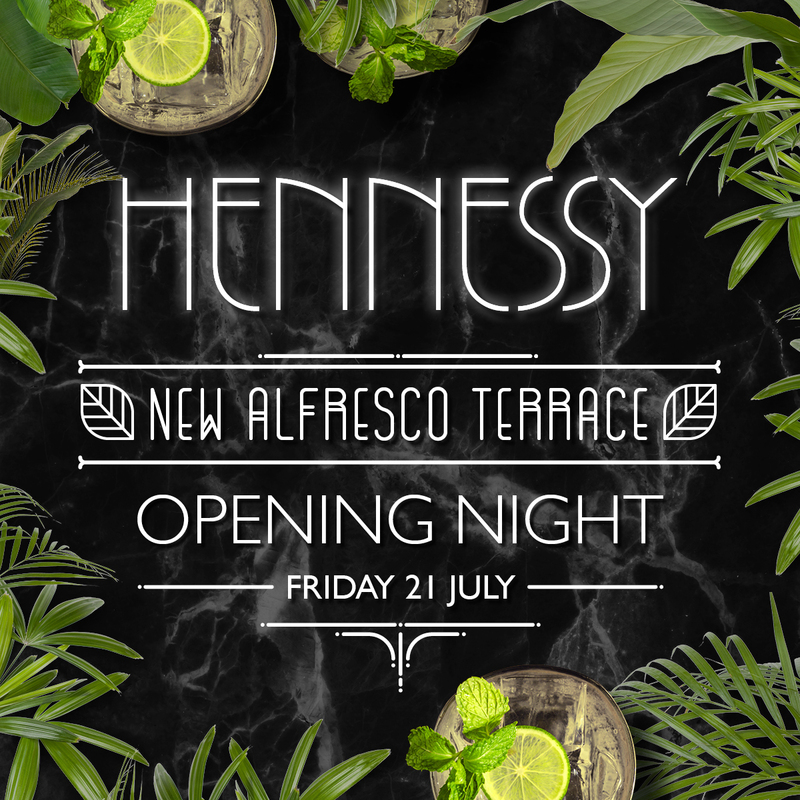 Hennessy’s exciting terrace will be decked with stylish furniture to blend in with the rest of Hennessy’s aesthetic, a fresh and bright green wall, underfloor heating and a glass roof, making it accessible for all the seasons of the year.